Te Wananga o Ngati Rauhoto are weekend wananga courses covering aspects of learning applicable to the identity of Ngati Rauhoto. 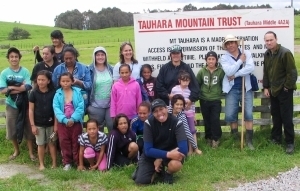 The residential course focussing on Whakapapa, Rautoto, Tuwharetoa, significant sites, Hoe Waka, Man rakau & Man patu, haka, waita, moteatea, creative stories, te Tikanga o te marae, powhiri, karanga & more. The fruits of the wananga have been noticed already with whanau face to face with Kaumatua sharing experiences and Whakapapa. Geoff reports that whanau are standing to speak and not being afraid to use what little language they know. Kaumatua are teaching aspects of Tikanga that they believe is trivial but very important and a general sense of pride and mana was being expressed as they all come to realise their roots and what these mean as a whole. Ngati Rauhoto was at the crossroads in terms of identity and ability to function affectively as a contributing hapu of Ngati Tuwharetoa. 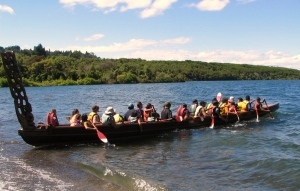 The wananga are due to be completed in April next year. 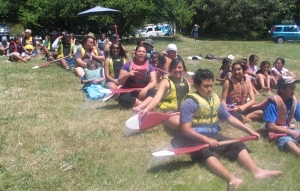 Whanua carry out on land training before taking the waka out on the lake during the wananga. at the most recent wananga.